Dane County Humane Society's (DCHS) Animal Medical Services (AMS) provides outstanding medical attention and care to all of the homeless animals that come through their doors. Occasionally, an animal needs special care, and DCHS is there for them! A small, female Maltese mix, now named Sheba, arrived as a stray at DCHS at the end of September. Sheba was severely matted and was exhibiting strange behaviors that were very worrisome to the shelter medical and care staff. Upon observation, DCHS’s Animal Medical Services thought that Sheba’s behavior, coupled with her high white blood cell count and the fact that she was an intact female, may be because of a medical condition, pyometra (infected uterus), which is treated by a spay surgery. Sheba received the much-needed surgery, but struggled with recovery and had the staff worried about her well-being. She slowly improved, but continued to exude behaviors that were concerning. After several blood tests, the shelter veterinarians suspected that she had a congenital liver problem. They decided to send Sheba to the University of Wisconsin School of Veterinary Medicine, where their suspicions were confirmed with a CT scan. Sheba was diagnosed with an extrahepatic portosystemic shunt, which is amenable to surgical correction. The shunt is producing a buildup of toxic ammonia in her blood thus causing the behavioral changes, urinary problems, and general malaise. Sheba also has kidney stones that will hopefully dissolve with the help of a specific diet and surgical repair. Surgery will be scheduled as soon as possible, but in the meantime Sheba is on several medications to help her feel better. DCHS hopes to give Sheba the chance to be a happy, healthy dog in a loving home, but they need your help! 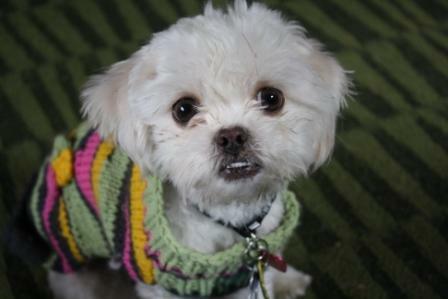 Please help DCHS raise the $6,500 needed for this deserving dog to have the surgery she needs! Select "Donate to: Help Me Heal" when donating online. You can also mail or drop off your donation at Dane County Humane Society's main shelter (5132 Voges Road, Madison WI 53718). When donating online, please state “Sheba Surgery” in the comment section. Please help DCHS continue to help animals like Sheba heal. DCHS depends on your kindhearted donations to make miracles happen. Have you ever considered going backpacking with your dog? While it's not easy to cross borders with your beloved pooch, if you do manage to get clearance for your animal to travel with you, short trips with Fido are wonderful. Imagine your dog, running wild and free through lush countryside, splashing about in rivers, chasing birds and curled around your feet enjoying the warmth of a campfire. How could you leave him at home? Many people would be put off from taking their dog away with them on any holiday that involves carrying your own accommodation, food, clothes and other essentials on your back. However, instead of believing that taking the dog will add extra weight to your load, let your dog pick up some of the slack. Unbeknown to many, a range of fantastic dog backpacks has hit the shops, a concept that may seem strange at first, but is actually ingenious. 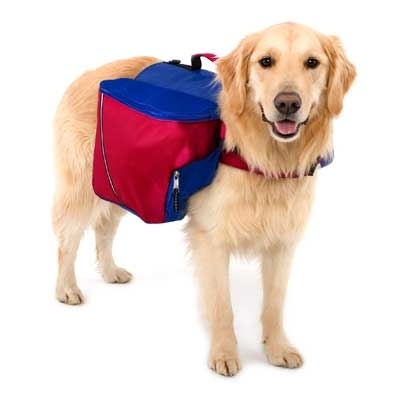 A canvas pack can be securely and comfortably strapped to the dog, featuring pockets that can be filled with dog essentials: his bowl, food, water, towel, toys and treats. Don't worry that your dog will be laden down and overheat, the lightweight bag comprises water pockets that will keep him cool. The packs are typically very hard wearing, which is great for rugged or muddy conditions. The streamlined design will ensure your dog won't be slowed down, either. For those who would like to keep a slightly tighter rein on their dog in certain situations, removing the backpack pockets will reveal a harness. Therefore lifting your dog over water or a stile will be much easier. In fact, the only problem you may encounter, is keeping up with your backpacked dog! If you're wondering what to get your pet for Christmas, why not think about purchasing a dog backpack so that they can share in the great outdoors with you? Rupert Brown as a freelance author writes articles on various topics. To learn more about dog backpacks and dog blankets he recommends you to visit Muddy Paws. Degenerative disk disease (DJD) in dogs, otherwise known as canine arthritis or osteoarthritis, affects and causes the deterioration of joint cartilage in our pets. This progressive, debilitating disease causes the breakdown of cartilage and fatigue in cartilage-producing cells. As a result, joints that are supposed to be lubricated in order to glide over each other become rough, and our pet’s joint mobility can become painful and stiff. At this point only surgery or vet-prescribed painkillers and non-steroidal anti-inflammatory drugs (NSAIDS), which can be purchased online via a Canadian Pharmacy, can provide pain-relief for the animal. DJD can affect any joint in your dog’s body, but most often it inflicts the hips of middle-aged to senior dogs or young dogs who suffer from canine hip dysplasia, which is common in larger mixes and dog breeds. 1. Regular exercise: Your dog should not only go for a walk every day, he or she should jump, run, bound and play in a safe, controlled area (like a dog park or a fenced in yard). Just like humans, if your dog gets adequate daily exercise that doesn’t overtax his or her joints—it will ward off osteoarthritis and maintain good bone health, mobility and flexibility. 3. Supplement for bone health: The Arthritis Foundation recommends glucosamine for dogs with canine arthritis to help strengthen bones and relieve the symptoms of canine arthritis. Glucosamine, a chemical naturally produced in your dog’s body, also produces molecules that stimulate the production of synovial fluid (the lubricating substance that smooths the movement between joints and cartilage) when given in supplement form. Glucosamine has also been shown in numerous veterinary studies to benefit canine arthritis. Vets prefer it administered in liquid form on top of your dog’s food. 4. Other methods of arthritis relief: These include vet-prescribed painkillers and non-steroidal anti-inflammatory drugs (NSAIDS)—including most common Rimadyl (carprofen), Adequan (polysulfated glycosaminoglycan) and Palaprin6—all of which have risky side effects and only treat the pain, not the arthritis itself. It’s best to take a pro-active approach with glucosamine, exercise, rest and a healthy balanced diet. Remember: over-the-counter painkillers should never be given to a pet without first speaking to a veterinarian. 5. Regular veterinarian check-ups: The signs of canine arthritis can be identified by your veterinarian far before owners start to recognize the more drastic symptoms. That’s why it’s important to get your pet in for regular check-ups. An early canine arthritis diagnosis, mixed with recommended therapy, gentle exercise program, nutrition and diet may lessen the symptoms and pain and prolong the life and comfort of your pet. Bernice Spradlin is an avid hiker and runner. She works at a gym in Brooklyn, New York, where she gets great inspiration for her freelance health-related articles and blogs. In her off time, you can often find Bernice jogging the East River path along the waterfront and enjoying the cool breeze. The hedgehog is an adorable little creature that has gained popularity as a pet in the last twenty years. 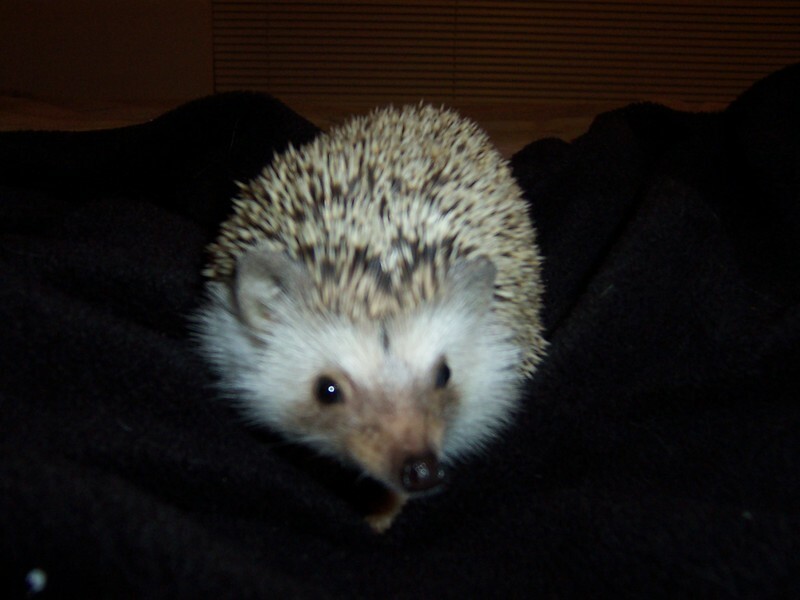 The most common hedgehog found as a pet in the United States is the African Pygmy, though its cousin the European hedgehog has also gained interest. As cute as they are, this animal comes with some complications that have made it illegal in some states, while other states have restrictions for owning or breeding this animal. What are these complications, and how can hedgehog owners be sure their pet is healthy and well looked-after? There are a few states where owning a hedgehog is illegal. These include California, Hawaii, Georgia, Pennsylvania, New York City, and all of Douglass County in Nebraska. Arizona makes it so hard to meet requirements that you practically have to have PhDs in animal care to afford one, and Maine is working out legislature to restrict them as well. Reasons for these restrictions vary wildly by state. The first reason hedgehogs are restricted is because they are a non-native species. If enough escapes, they could displace the native species in the area and disrupt food chains. States that have unique environments, like Hawaii, are particularly susceptible to damage from non-native species, and will often ban exotic pets. The African Pygmy hedgehog is originally from Africa, which means that it falls into this category. Another reason is because of the diseases that they can carry. Most hedgehogs are totally healthy, but they have been linked to several diseases over the years, including salmonella, foot-and-mouth disease, rabies, yersina, pseudotuberculosis, mycobacterium marinum and even hemorrhagic fever. Some of these diseases are able to cross the lines between species and cause disease in livestock or even humans. Infants and young children are most at risk, so hedgehogs are not good pets to have around the very young. Because of these viruses, hedgehog breeders are closely regulated to be sure that the animals they sell aren't carriers. That's why it's so important to get your hedgie from a licensed breeder, who can prove that they're healthy. Hedgehogs also have a lot of very specific environmental things they need. For example, their diets can be quite complicated, they need open cages but without wire bottoms, and lots of exercise—but only on closed wheels with at least 11” diameters. 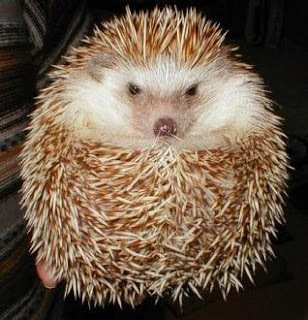 Plus, hedgehogs are designed for a warm climate, and must be kept in a room that is between 70F and 76F. If they get too cold, they will try to hibernate, which can easily kill an African pygmy because they are not designed for it. Getting too hot is just as bad, however, because they can easily overheat and die of dehydration in as little as 80F. Because of all these special needs, hedgehog breeders are subject to much scrutiny, and it is very hard to get licensed to sell them. This is why it is so important to make sure that your breeder is licensed, and has made allowances for all of these things when breeding your hedgie! Plus, you have to make sure that you have built an environment that your hedgehog can happily survive in, but can't escape. They're wonderful pets, but they can be a lot of work, so it's important to do all of your research before buying one! USA (PR Web) Oct 30, 2011 - Researching health care options for pets is a phenomenon that is expanding in North America. More people are starting to realize the benefits of having a single veterinarian for their pet. This puts the vet in a more knowledgeable position and strengthens his/her relationship with the pet. The site, which launched in October 2011, is known as The Veterinarian Directory (http://www.topveterinarians.org). It features a simple search box which allows you to locate nearby veterinary clinics by city, address or postal code. The directory currently has over 30,000 listings which users can view through the familiar maps provided by Google. There are two reasons why it's becoming more popular to research veterinary clinics for your pets. For the conscious pet owner there is a better chance of finding a talented and knowledgeable vet who can keep your pet healthy. Secondly, people are discovering there are benefits of seeing veterinarians who specialize with specific types of animals. The launch of the Veterinarian Directory is proof that a great idea can translate to an incredible community connecting veterinary practices directly with enthusiastic pet owners. These photos were shared with Mad About Pets by Free People, a leading boho clothing boutique. To keep tabs on all of their office pups, check out the Free People blog.